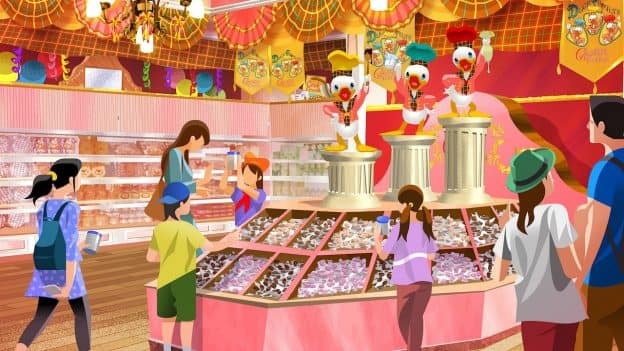 We’re less than two months away from Tokyo Disney Resort’s 35th Anniversary “Happiest Celebration!” and today we have a delicious update just for you. 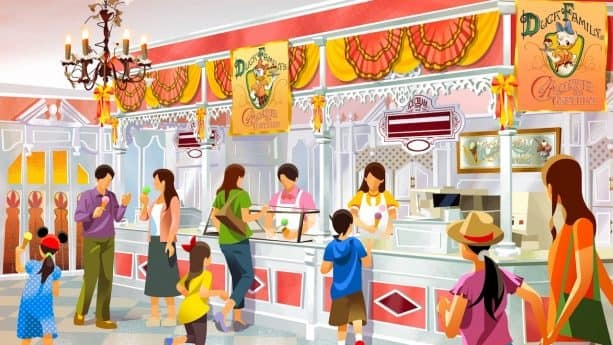 Starting April 15, two new Chocolate Crunch-themed stores will open at Tokyo Disneyland’s World Bazaar: Pastry Palace and Ice Cream Cone! For those of you who don’t know, Chocolate Crunch has been a resort souvenir staple since its introduction back in 1986. And now, guests will have the opportunity to experience two all-new locations dedicated to the tasty treat. 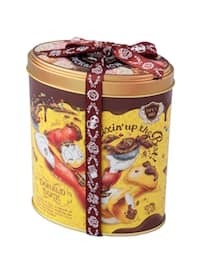 At Pastry Palace, guests can build their own Chocolate Crunch container filled with new flavors like Strawberry Shortcake and the previously discontinued Caramel flavor, which is only available until July 7. Exclusive souvenirs will also be on sale including a DIY Chocolate Crunch kit. Over at Ice Cream Cone, two new desserts with Chocolate Crunch will be on sale, inspired by Donald Duck and Daisy Duck. Donald’s will look as if he’s dived in head first to taste the vanilla ice cream, and Daisy’s will be soft serve topped with her signature purple bow. Both have plenty of Chocolate Crunch surprises in store! 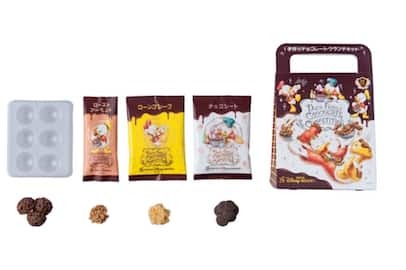 Needless to say, Tokyo Disney Resort’s 35th Anniversary celebration just got a whole lot sweeter. 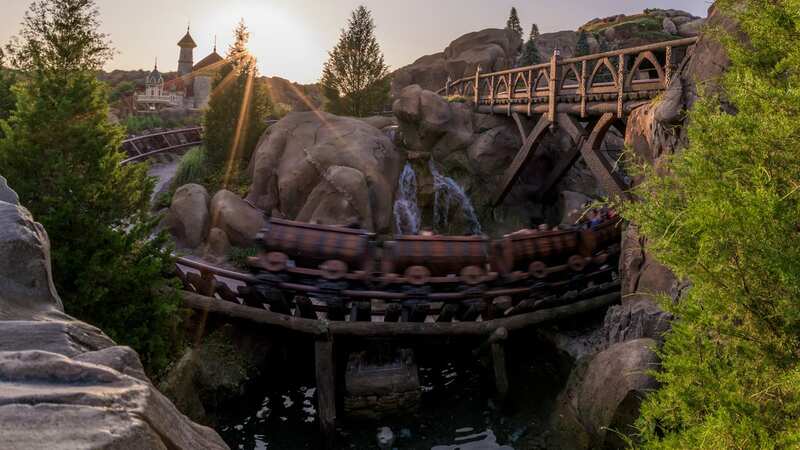 Love hearing about new attractions and stores at TDL! Please post more about this Japanese destination!